Hello! It is good to be back, I hope you had a wonderful vacation! Today I am excited to share a fun lighting project! 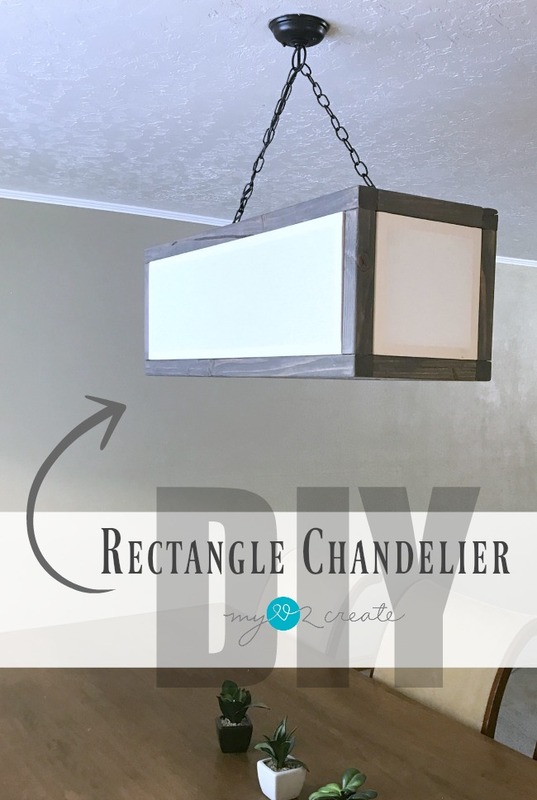 I made this awesome Rectangle Chandelier for my sister's house, and they are loving it!! I have to be honest, NONE of the photos do this justice. Truth. The linen shades looks so awesome in person. I actually built this at my sister's house while visiting there last week, and I didn't have my nice camera, so what you see is what you get. My sister just moved here a few months ago and they are making big plans for this house. Like tearing out that wall and totally redoing the kitchen...we thought it would be fun to do a little chandelier update while I was visiting. This is what was hanging above her table before, and they were looking for something a little more modern. Plus my brother-in-law likes the bulbs covered which is why we went with the linen panels. I love how the linen panels turned out! Here is a shot with the lights on...I wish I could have gotten better photos, but you get the idea. They add nice warmth and texture to the space. 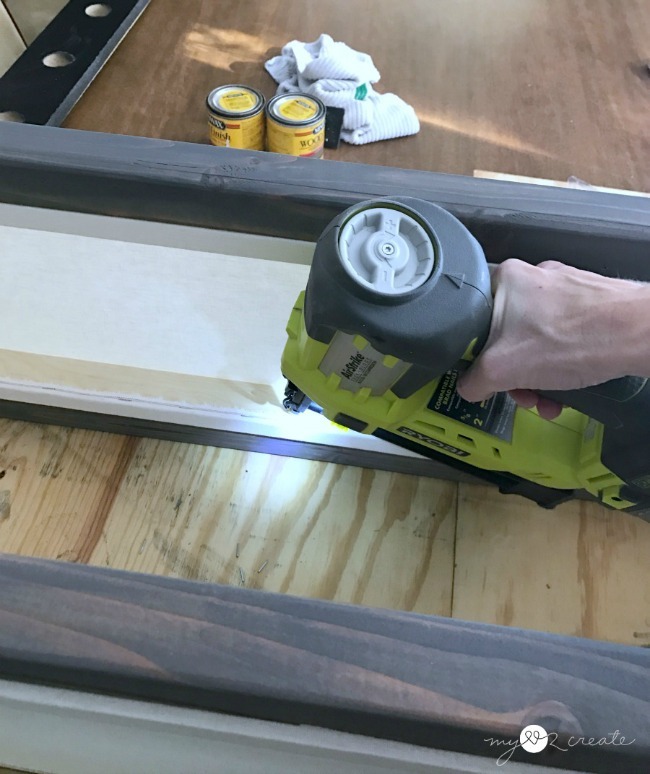 Luckily we were able to borrow a Miter saw to cut the 1x2 and 2x2 boards, since I couldn't pack mine in the car with six kids! This is a simple build, and can be done in one day. I made all my cuts and drilled my pocket holes. 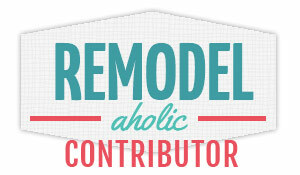 Oh, and don't you worry, I have the free plans for this over at Buildsomething.com, Kreg's awesome DIY Project Site. I always like to share my picture tutorial here too, since I am such a visual person. 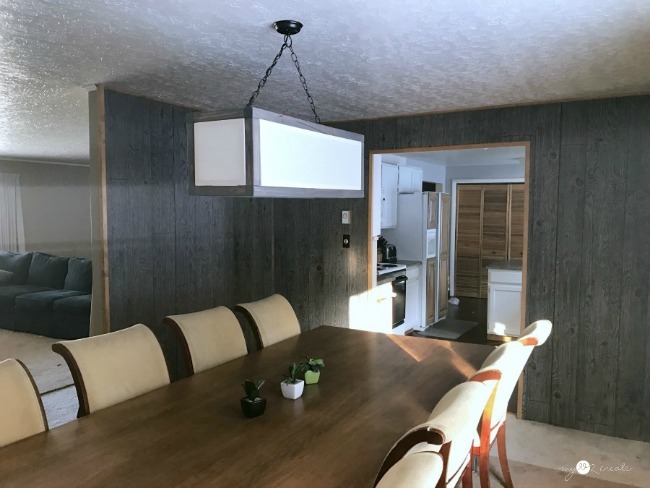 The main light fixture is a box built from 2x2's. 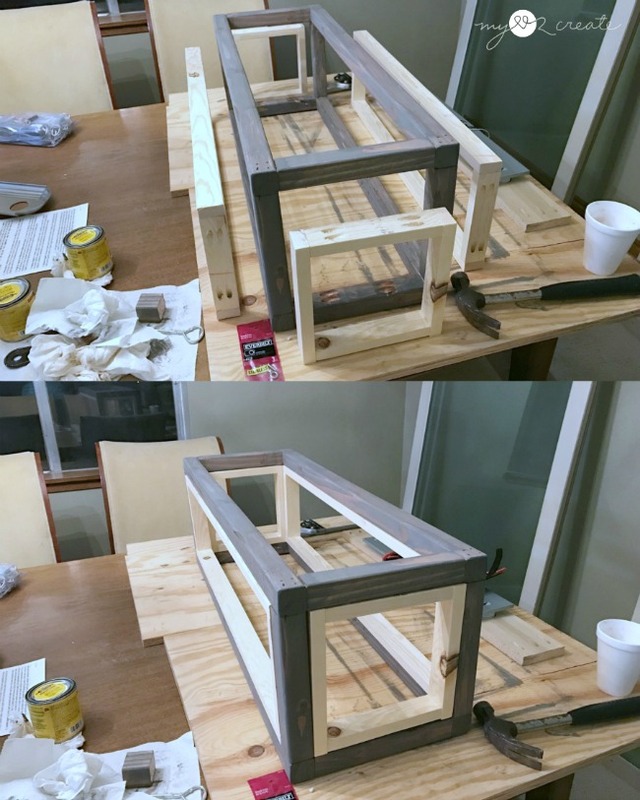 After I did my cuts I did a dry fit to see how they looked, and to make sure my linen shade frames were going to fit. Above I am building the linen shade frames out of 1x2 boards with pocket holes. 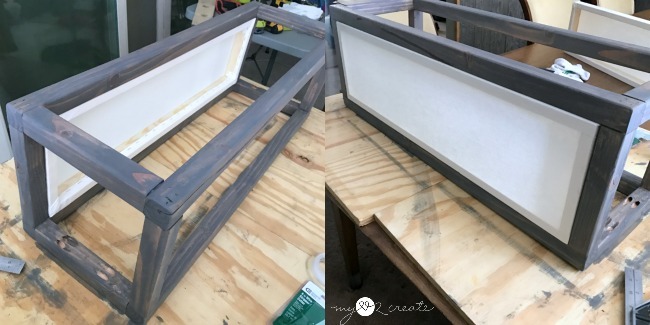 I set the pocket holes on the outside since they will be covered with fabric and set inside the light fixture box, and not seen. 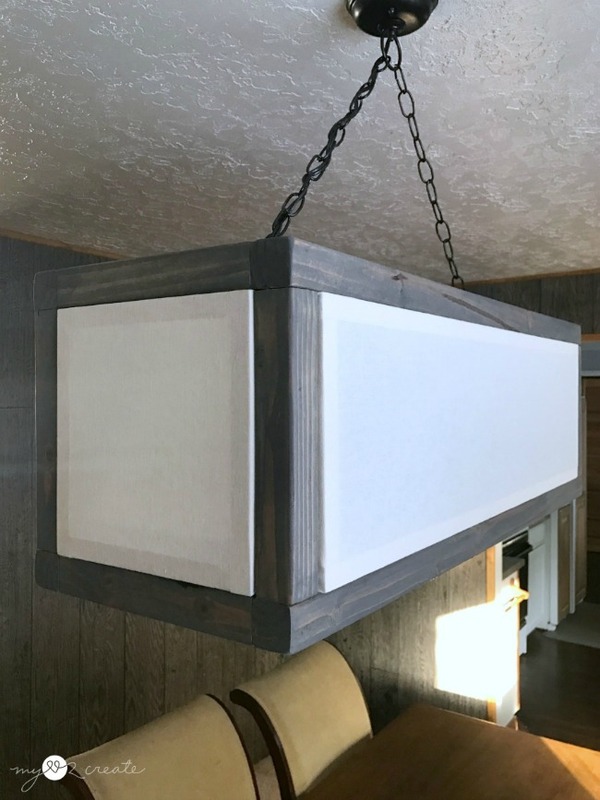 Once the light fixture box was built my sister stained it with Minwax Classic Gray Stain. 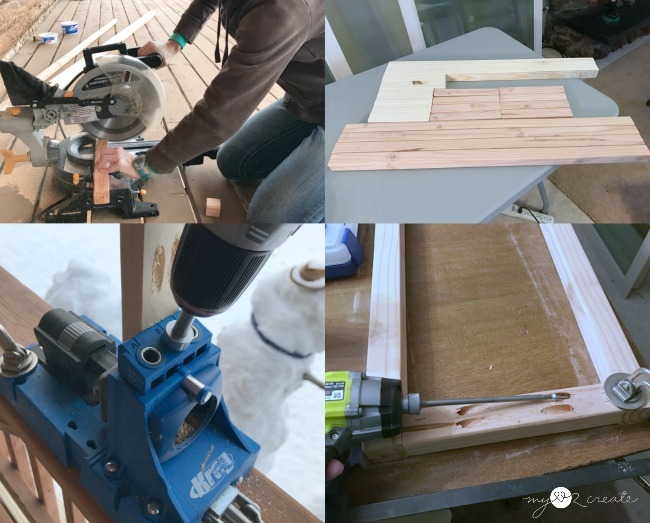 It is always fun to do projects with my family. Remember my Sister's Closet/Laundry Room Makeover? Well this is the same sister...and yes, sadly they had to leave that room behind because of the move. 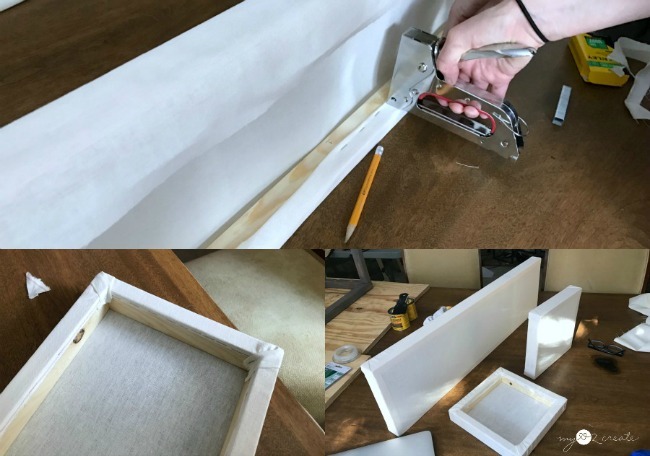 We purchased one yard of linen and cut it big enough for each frame so that is could be wrapped around and stapled on the inside. We folded the ends under to prevent fraying as we folded and stapled. It is important to pull tight, but not too tight so you don't overstretch the fabric. We stapled the sides first then I finished off the corners last, cutting out any extra fabric so it wasn't so bulky. My corners don't look the best, I am still new to upholstering. :) I loved how they looked like little canvas frames when they were done. I put them in the box one at a time. 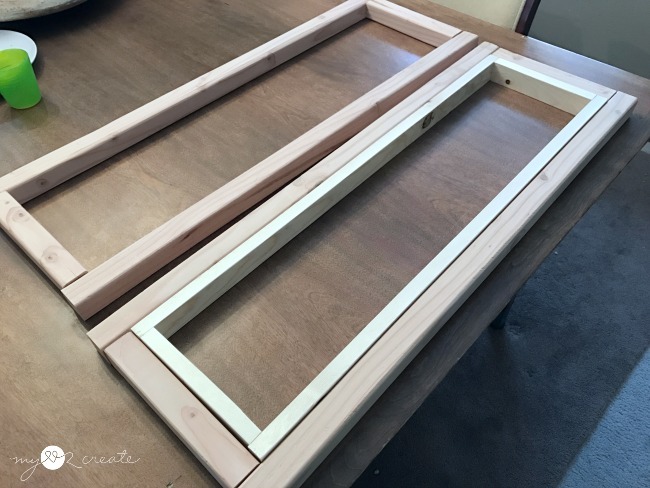 It is best to put the canvas frame inside the box and then push it into place. That way the fabric stays nice and tight on the frame. 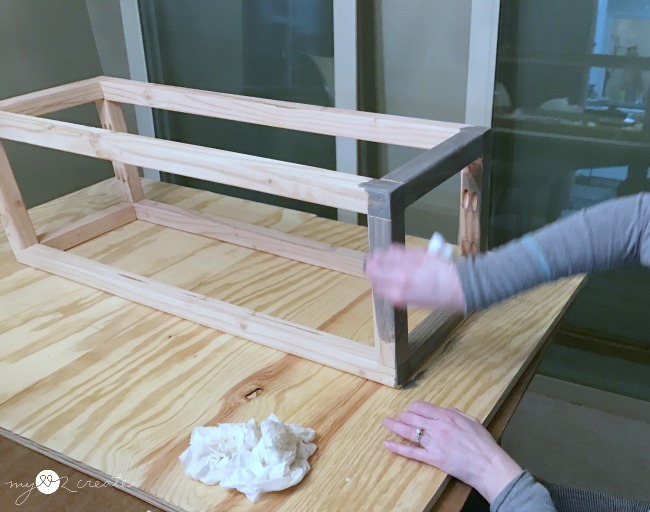 Once all the linen frames were in place I nailed them into the box frame with 1 1/4'' finish nails to secure them. I made sure to nail them in on all sides. 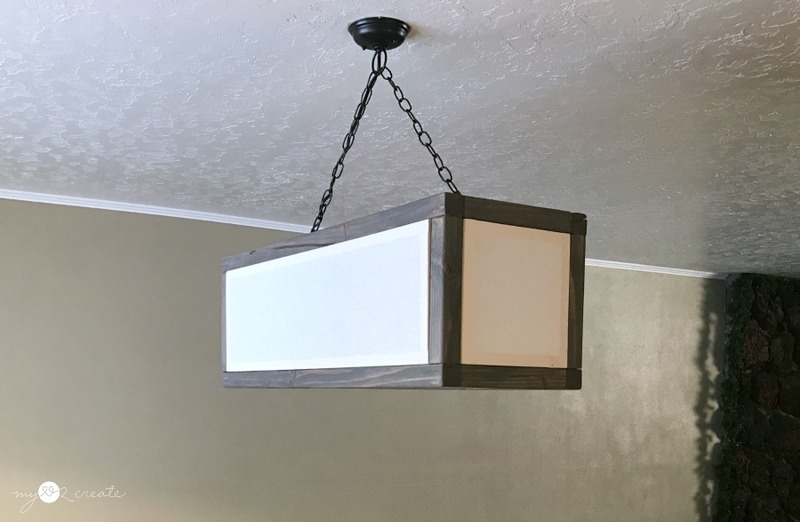 You can use any hanging light that you want, I knew it would be much cheaper to repurpose an old light fixture. 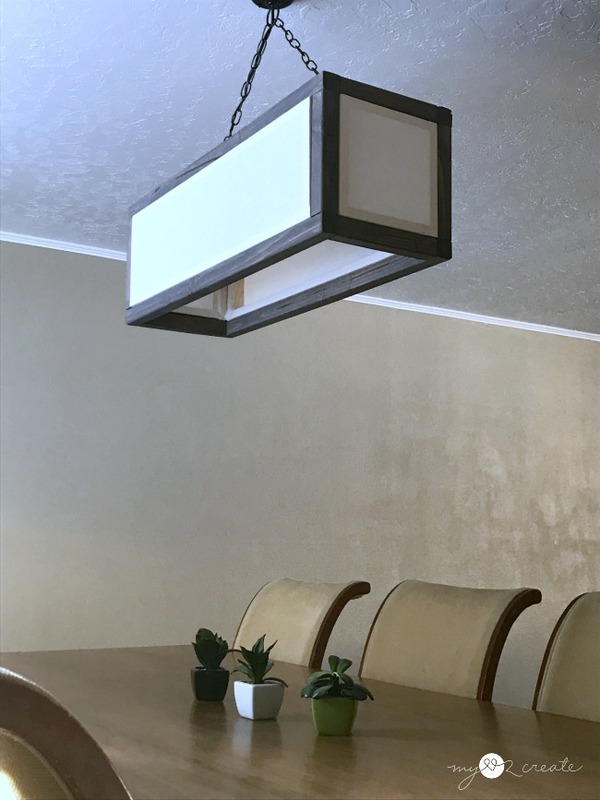 My sister and I found this old wall mounted light fixture at a thrift store for $4, and I knew it would be perfect. I removed the outer cover and used the sockets and wiring. You could also build your own with purchased sockets if you wanted. Then using a scrap board I measured and drilled holes for the light sockets to go into. They fit perfectly. 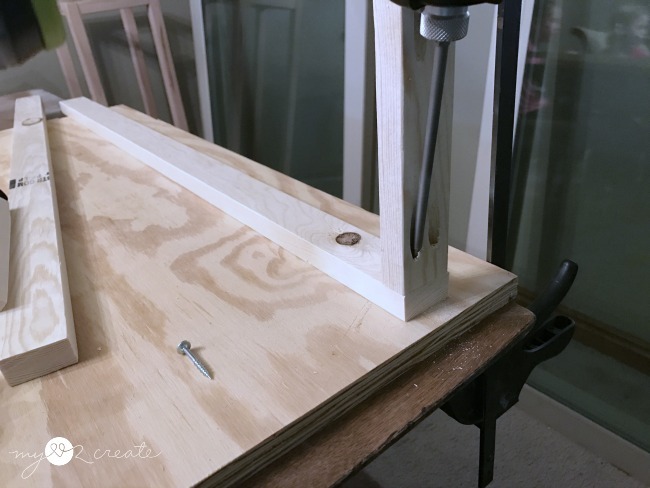 The pocket holes will be drilled into the 2x2 frame. 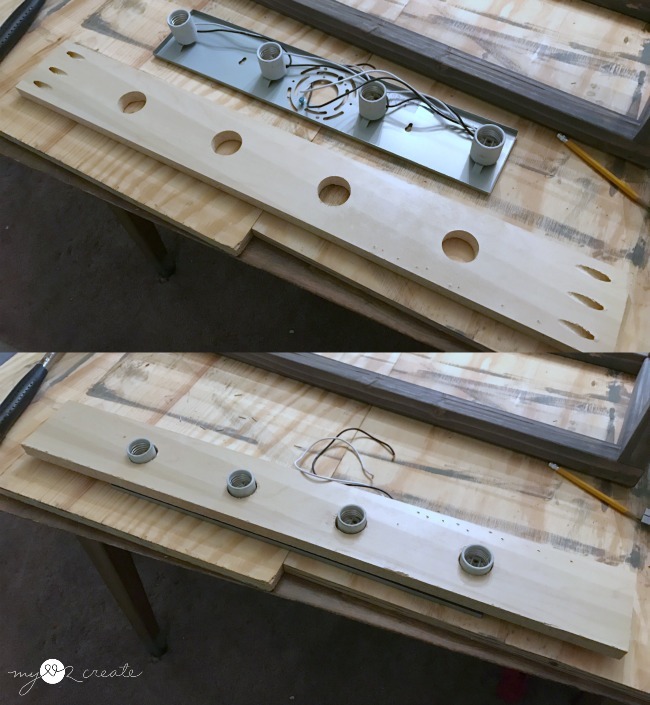 I choose to do three on each side since this is the board that will support the whole hanging light fixture. We ended up purchasing a swag lighting kit, and used the wire and chain from that for hanging. I attached some screw eyes into the support board and hung the chain from them. The light was wired into the cord wire, and then led up through one of the chain sides. Then it was wired into the ceiling. 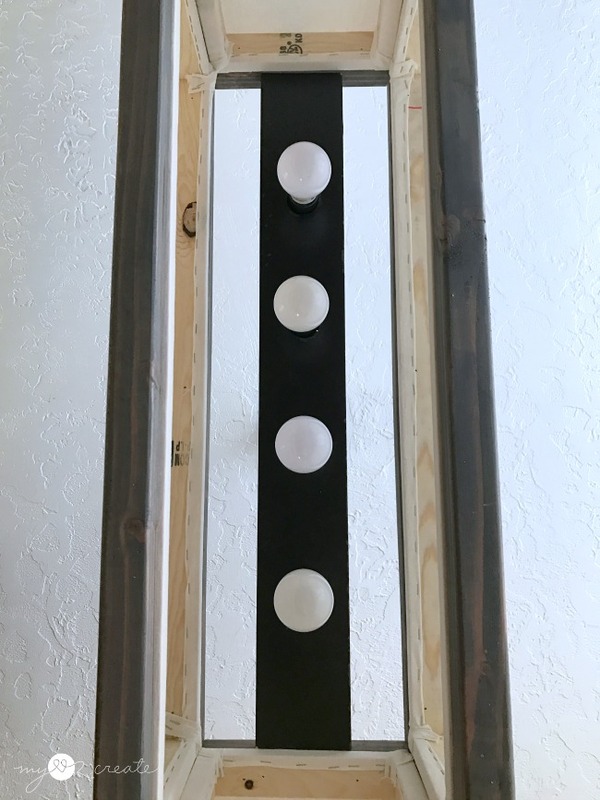 I show you how to do similar wiring in my DIY Plug-in Sconces, from pendant lights post. 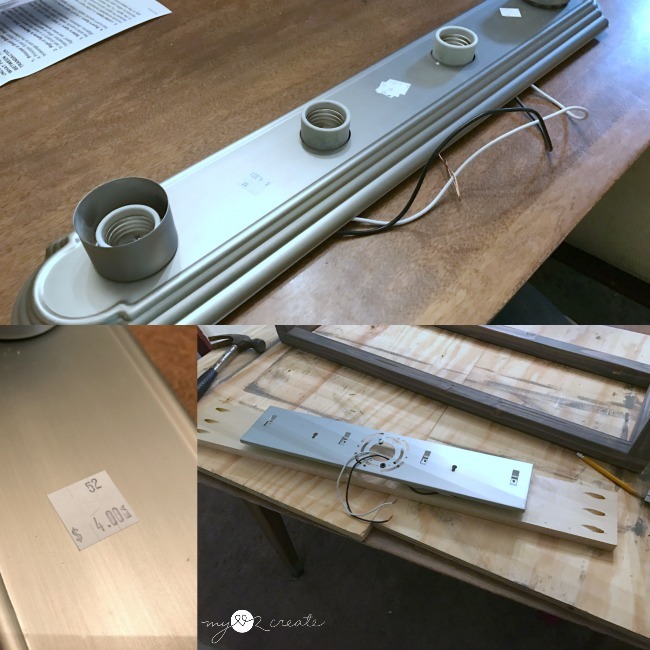 If you have not done wiring before I suggest you hire an electrician to install your light, or find a very good tutorial online. Always turn off breakers when working with wiring, and be safe, do not attempt if you don't know what you are doing. 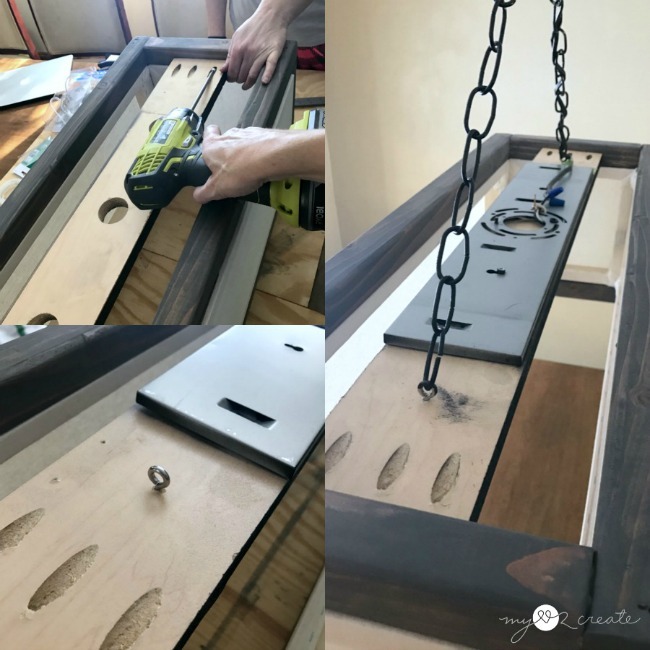 I ended up spray painting the bottom of the support board and the chain and other hanging hardware with Rusteoleum's Oil Rubbed Bronze spray paint. This is a shot of the inside. 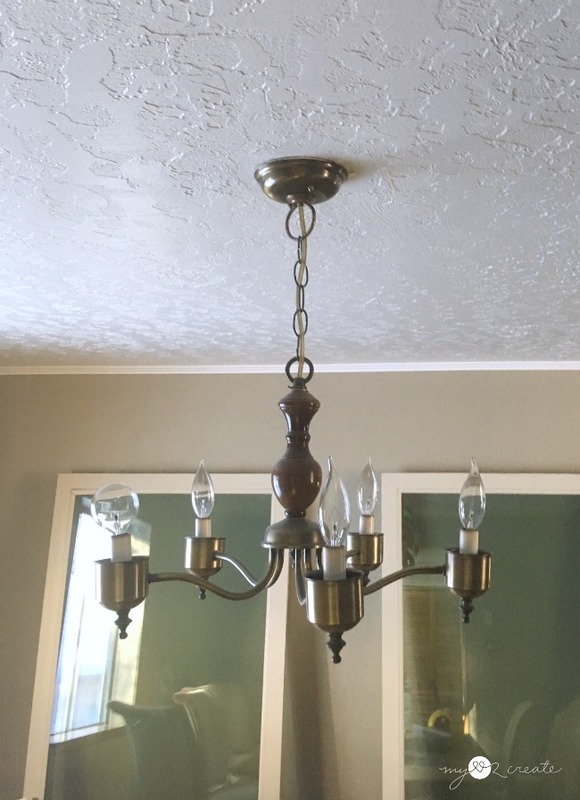 We ended up using the old chandelier's ceiling mounting hardware to save on cost. It worked out great! 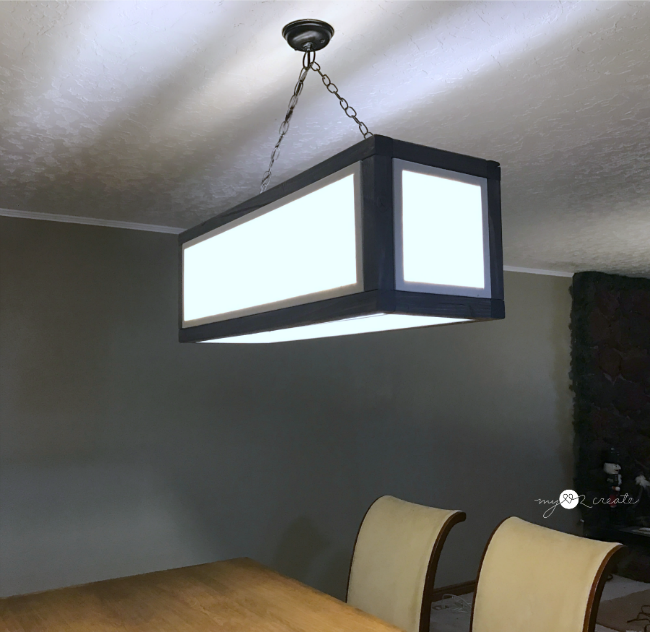 So for under $75 we build this high end looking light fixture! Not bad! 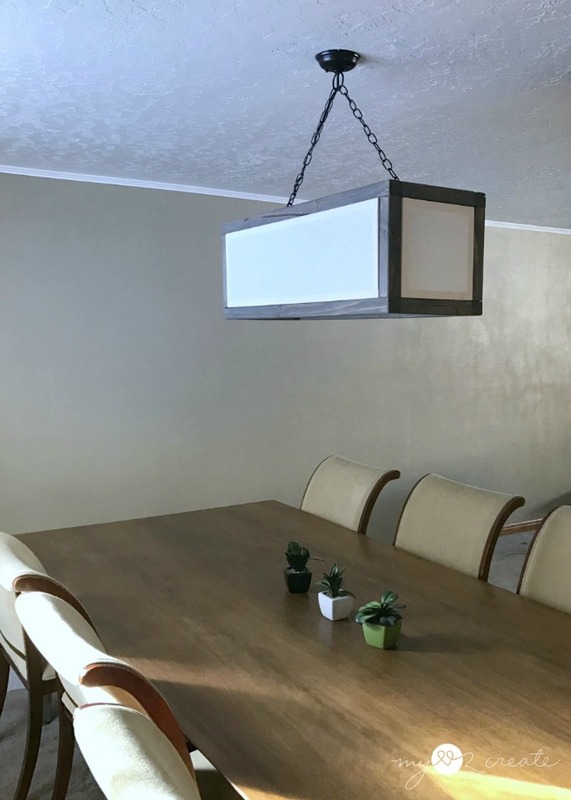 Using a repurposed light fixture is really where we did the saving on this project. We did end up hiring an electrician to hang it because the wiring in the ceiling looked off, and I didn't want to mess with doing it wrong or messing it up. Better save than sorry! I think it was well worth the effort! Plus I had so much fun designing it with my sister, and having someone to bounce ideas off of was super nice, not to mention they got just what they wanted! Here is an evening shot, it provides a ton of light and looks so awesome! So what do you think? I have already thought of some different alterations to this plan, one being a more rustic industrial look...maybe I will have to try it! I would LOVE it if you headed over to Buildsomething.com to see my free plans and get the rest of the details on this build! 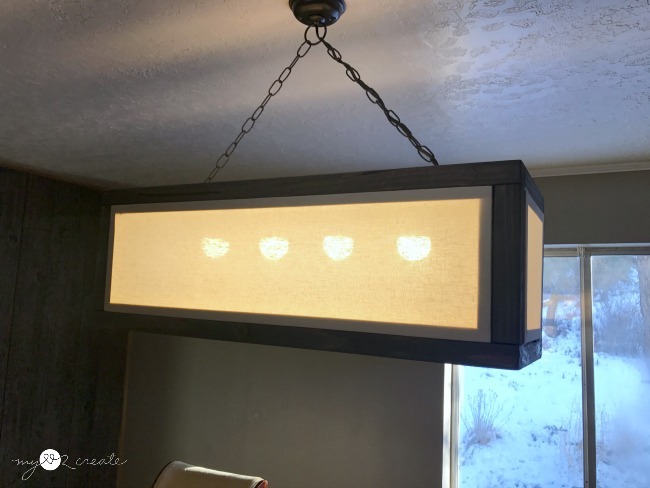 Now that's a great lighting DIY, Mindi! Your easy to follow tutorial makes it look surprisingly not that difficult. Pinning to share this great idea. 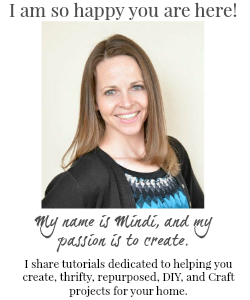 That is an awesome new light/chandelier Mindi! I've never made a single light project. :) You always do such great tutorials. Your skills always amaze me! I wouldn't know where to begin on a project like this. Good thing I have my engineer hubby to figure things out for me. :) Thanks for sharing with SYC. I LOVE this project! Such a great light. One day when I have a dining room... I may just have to build it! I'm featuring this build at the Creative Gallery today. Love it!